Codeta Casino takes online gambling to the next level by offering a sophisticated yet entertaining and fun online casino that satisfies the needs of a variety of punters. The casino is new to the scene, having been launched in 2016 by EveryMatrix, although what it lacks in experience it more than makes up for in quality, style and functionality. Codeta features a distinctive look and feel that makes you feel like you are at a real life casino. It is this authentic vibe that makes Codeta a top choice for players looking for a first-class casino experience without leaving the comfort of their home. The site's interface is smooth and slick, and a design that combined modern with traditional will delight both old and new players. The casino is licensed in Malta, which should offer assurance as this is an authority that takes safety, security and fairness very seriously. The casino is based in Malta as well as London, Stockholm and Tel Aviv, making it a global brand worth investing your time and money into. 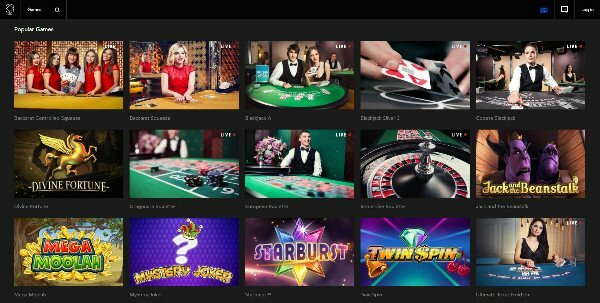 Like many casinos of its kind, Codeta operates as a multi-platform casino, offering a range of games powered by some of the leading software developers in the world. This is no fly-by-night operation, as evident by the big names it has attracted, including powerhouses like NetEnt, Microgaming, 1x2 Gaming and Evolution Gaming. Online casinos also understand the value of time in this day and age and therefore makes accessibility to its games library as smooth and efficient as possible. Instant play versions of the casino are, therefore, a popular option as it is available directly from your web browser without having to download any software. Also, Codeta's mobile casino allows for easy access via your Android or iOS mobile device anytime, anywhere. The game selection at Codeta is something worth mentioning, as you will likely find many of your favourite titles populating the lobby, including your pick of online slots, table games, video poker and live tables. There is no shortage of games to choose from, and you will actually need a couple of minutes to settle in and find your way around when you first visit the casino. Video slots are popular choices, with many offering incredible graphics and sound effects, smooth and seamless gameplay, interesting themes and plenty of opportunities to win big. NetEnt and Microgaming are two providers known for their gaming innovation, so you can expect some of the best online slots ripe for the picking. Some of the most popular slot titles include Starburst, Jack and the Beanstalk, Arabian Nights, Mega Moolah, Jurassic Park, Bridesmaids and Game of Thrones. Table games feature strongly at Codeta Online Casino and are perhaps its most prominent feature. In fact, the casino has been designed to appeal to table game players. Live table games are also a major drawcard at this casino, offering a fully immersive experience without leaving your home. There are 65 live casino games in total, all featuring a realistic gaming experience, complete with live dealers and real-time action. Table games on offer are Blackjack, Roulette, Baccarat, Poker, Red Dog, Casino Wards, Craps, Sic Bo en the lesser known Yatzy. If video poker is more your speed, Codeta caters to your needs by also offering an extensive range of these card games..
With too many games to mention, Codeta takes the cake regarding options. It is a good idea to take your time when browsing the games lobby, picking a few games you are familiar with and trying out the free versions before betting any real money. codeta.com offers some fantastic promotional offers to entice new and existing players. The welcome bonus is always a winner and offers players the chance to earn some much-needed cash into your bankroll. Table game enthusiasts will enjoy a welcome offer when you make your first deposit, and by the end of your first week, you will receive either 10% extra on your wins or 10% back on your losses. 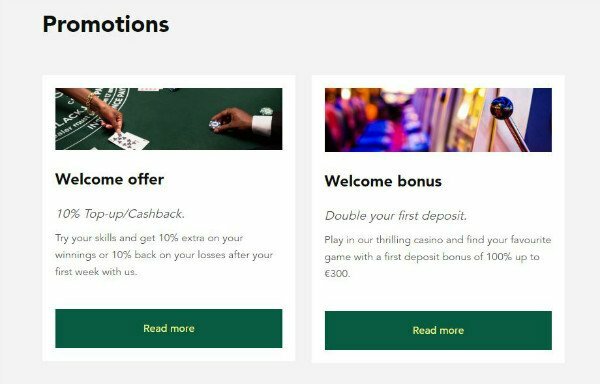 The casino also features a traditional welcome bonus, where you receive a 100% match bonus up to £300 when you make your first deposit. All you have to do is sign up, make a deposit and use the bonus code WELCOME to claim this sensational reward. The Weekly Reload Bonus allows you to double your winning chances every week. You may challenge the dealer, play your favourite slots or bet on black for your chance to receive a 100% match bonus up to £60 for the duration of the month. All you have to do is use the bonus code WEEKLYJAN to activate this bonus. Codeta Casino Payments offer a wide range of reliable and trusted banking methods to suit the needs of all players. All the most common payment options are covered, and you can make deposits and withdrawals using Visa, Neteller, Skrill, Euteller, Moneybookers, and MasterCard. In addition, deposits can be made using PaysafeCard, while you can also make use of Trustly and bank wire transfers for withdrawals. Generally speaking, you can expect instant payouts for e-wallet payments, while all other transactions carry some kind of waiting period, which is standard at all online casinos. While Codeta Casino thrives on offering a high-quality experience, it is only natural to encounter some hiccups along the way. But this will be sorted out in the jiffy thanks to a highly skilled and efficient customer support team who are available at all hours to assist with any problems you may have. You can get in touch with an agent in various ways - via either live chat, email or telephone. Live chat interactions have the quickest response time, and it is said that an agent will reply in under a minute. Also, the casino features an extensive FAQ section targeting some of the most common casino-related questions. Codeta Casino offers an authentic look and feel that will transport you all the way to the stylish and sophisticated tables of Las Vegas. While table games and live casino games reign supreme at this casino, the games lobby is so diverse that everybody will remain entertained and happy for hours. The casino is designed to be fresh, functional and modern, offering players a welcome escape from the stresses of daily living without ever having to leave home. Codeta Casino may be new to the game but is fast becoming the go-to casino for all your online gambling needs. Its games portfolio is impressive, while its welcome bonus will surely entice newcomers to the site. In addition, the casino's design just screams class and style, while the safety and security are unmatched. Codeta Casino should be on your radar for 2017 and beyond.